If you are getting ready to make a hunting trip in unfamiliar territory, it is best that you have a way to figure out exactly where you are and keep track of where you have been. You could try a map but that isn’t as easy and precise as a GPS. Hunting is an activity where this type of technology comes in very handy since you are traversing large areas of land in pursuit of your game. It is also easy to become turned around and lost. Here, we will discuss the importance of having a GPS when hunting and also detail some of the best models available. A GPS is a navigational system that is about the size of a flip cell phone. These are devices which use satellites to provide information on your position in the world. These devices are used in many different areas to keep data on where things are and how you can get there. The most important thing to consider, especially for hunting uses, is how well it gets satellite reception in very remote areas and its ability to stay connected consistently to the satellite. It is important to have good satellite reception so that you can easily track where you are and use the maps and locations saved within your unit. When looking for the perfect hunting GPS to take on your adventures there are some main features to consider. This is an extremely important feature to consider when buying a GPS to use in remote locations on hunting trips. You need a device that can stay connected to a satellite even when you are deep in the woods. The whole point of a GPS is to know where you are. Be sure to consider whether you can add more maps and drop pins on your location in your GPS device to avoid getting lost. If you are planning some long trips, you will need something that has a long battery life, whether this is a rechargeable battery that comes with a spare or something else, you don’t want your battery to die while you are trekking through the woods. The main features of a GPS can decide its quality and usefulness for the consumer based on the accuracy and connectivity with satellites. It is also important to know how many maps it contains, whether you can add maps of your choosing, insert markers into them, and how long the battery will last because it needs to be usable for the duration of your trip. This system is one of the best for satellite reception coverage. You can maintain a strong satellite signal even when in remote, heavily wooded areas and deep canyons. This product uses a high-sensitivity receiver with HotFix to improve and maintain its strong reception. Another main feature that sets this device apart from the competition is the TracBack feature that retraces the user’s path. It also keeps track of waypoints, tracks, and routes while in use. The battery can last up to 17 hours and uses two AAA batteries. It also includes a wrist strap and can be worn like a watch while you are hiking and following game in the backcountry. 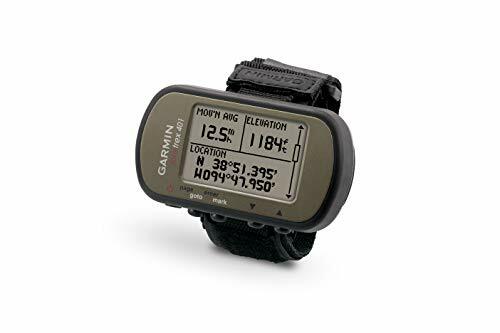 The Garmin ForeTrex 401 Waterproof Hiking GPS is an excellent option if you are looking to spend time in unfamiliar, very remote locations. Whether it’s the woods, mountains, or canyons, this device has powerful satellite reception. With good battery life and the TracBack feature to easily retrace your route, this is a great choice. It also holds different routes and drops waypoints on the map so that you can keep your camp labeled. The only possible downside is that the wrist strap can wear, become uncomfortable, and may not last as long as you would like. However, that is a fairly small downside compared to all the great features. So if your plan is to go hiking and hunting in a new, remote place, then the Garmin ForeTrex 401 Waterproof Hiking GPS is one of the best choices for you. This unit is a great choice if you are looking to have lots of maps kept on your device and want to be able to pinpoint locations on them. The device has an 8GB internal memory space and a microSD slot to add maps that you need. It has two satellite systems it uses to provide high-sensitivity reception. It has a dual battery system that allows you to use either a rechargeable battery or AA batteries to give you options while on a trip. 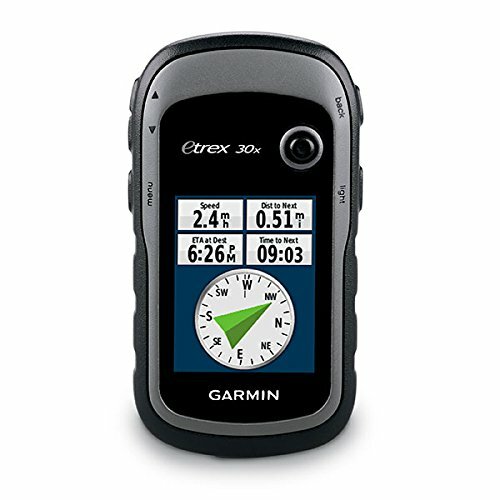 This GPS also has the Garmin Connect feature that you can use to upload data to smartphones for real-time viewing of what you are doing and where you are. 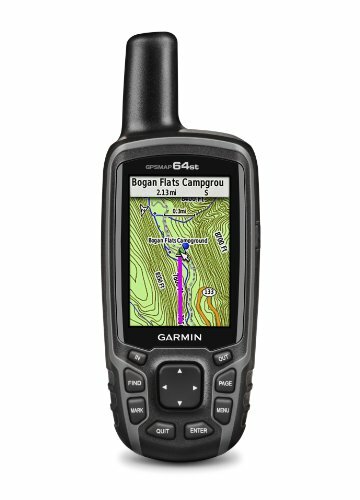 The Garmin offering is a great option for someone who needs excellent satellite reception and lots of space to add whatever maps they need for a new adventure. It is also a great option for someone who likes to be able to share where they are and what they are doing with others using the Garmin Connect system. The one downside to this device is its battery life. While it has a dual battery system that can either use AA batteries or a rechargeable battery, either power option results in a short life. This is a rather unfortunate downside, but overall, if you aren’t looking to be out on multiple day trips, this device is still an excellent choice. This device is a step above many others if you need something that has a dual purpose and works well. 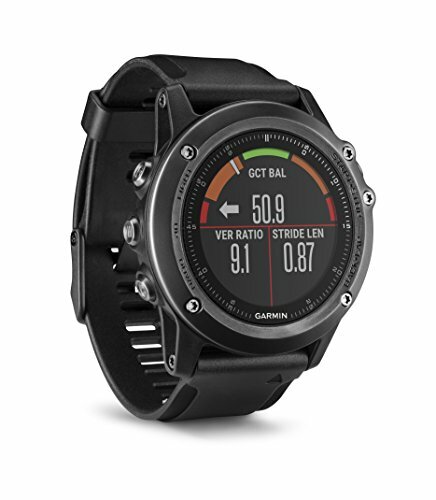 Functioning as both a smartwatch and a GPS, the Garmin Fenix 3 has many features. It has great satellite reception that comes from using both the GPS and GLONASS systems to stay connected. Its battery life is greatly dependent on what mode is mainly being used. In GPS mode it can last for up to 16 hours, which gives you plenty of time to explore somewhere new. In smartwatch mode, it can perform for up to two weeks. Another feature of this watch is that it uses Wi-Fi to use Garmin Connect wirelessly. This allows you to upload data and broadcast a live feed directly to your smartphone. The Garmin Fenix 3 HR. Gray is a great device for someone looking for a multi-use gadget that works as both a smartwatch, which can take your heart rate right from your wrist, to a fully functional GPS that can stay connected to satellites even in remote areas that are unknown to you. The one downside with this device is the screen size. Because it is a watch, the screen only measures 1.2 inches, which can make it a little hard to see where you are and read the information. However, this is a small downside if you are ok with looking a small screen and have good eyesight to help you out. Overall, this is a watch and GPS for a person who wants to be on the go and explore new places. This unit is perfect for someone who is looking to use a lot of different maps and wants to be able to change the ones they have access to. With 3.7GB of internal memory space and a microSD slot, there is a lot of space to load and store maps. Whether you are in familiar hunting places where you have a certain camp staked out or if going somewhere entirely new, this product has you covered. This product also comes with a built-in electronic compass and barometric altimeter so that you know how high you are getting and which direction you need to go. Another useful feature is that you can wirelessly transfer data to compatible devices, so if you are in a group, you can all share the same map with all the necessary waypoints in case you get separated. 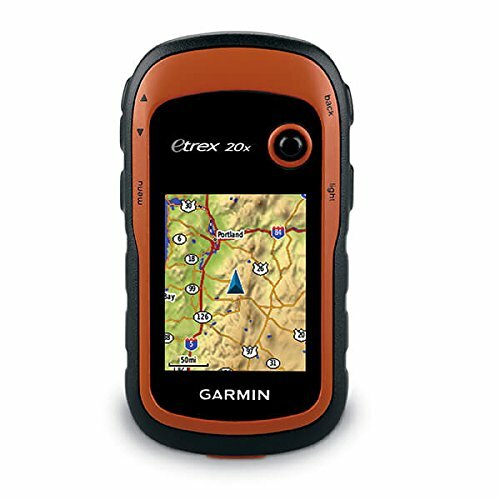 The Garmin eTrex Handheld Navigator is an excellent device for someone looking to be able to store many maps and keep track of where they are. It is also great if you are traveling in a group of people who have compatible devices so you can all have the same map to make sure everyone knows how to get back to camp and is on the same page. However, a downside is that while it comes with a preloaded map, said map may not be up-to-date with trail changes and shutdowns. Overall, this is a great unit to have with groups and gives you lots of space to add any maps you desire. This GPS is a great choice for many reasons. First, it has strong satellite reception even in very remote locations with thick tree cover because it uses a few different systems to help pinpoint your location. It has 3.7GB internal memory space and a microSD slot that allows for you to load a variety of maps onto it. It also comes with an easy-to-use preloaded worldwide base map to make getting started on a trip easy. These features make it an easy and accurate device whether you are in familiar forests or on a new trip into canyons and remote locations. The main downside is that this system does have a bit of slower response time in connecting to satellite reception and loading your location. While this can be a problem if you are in a hurry to get somewhere and know where you are, it is still not horrible if you have the patience to use it. Overall, this is a great option for both beginners or pros to find where they are and get where they are going. This device is a very high tech one, as it uses multiple systems to help keep it connected to satellite reception and accurately show locations on the map as it is being used. This device has up to 18 hours of battery life and has two different power saver modes that can be used to stretch the battery life further. It is also built to endure the elements including going underwater for up to 30 minutes at up to a one-meter depth. It is also a great GPS if you are into geocaching as it allows you to download and view characteristics about the cache you are searching for. 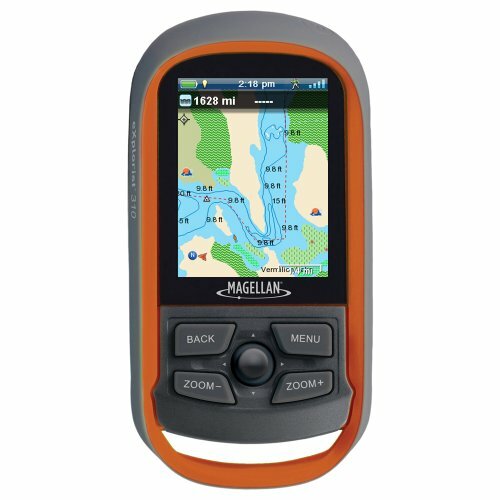 The Magellan CX0310SGXNA eXplorist 310 Waterproof Hiking GPS is a great option for someone who wants to be able to go exploring in all sorts of places and weather conditions. It can even be used in rain and submerged under water if, for some reason, you need to take it for a swim. While its battery can last up to 18 hours, the only downside of this is that it doesn’t have any alternative power sources. This unit takes two AA batteries so if you are planning on using it for more than 18 hours, you will need to pack spare batteries with you. Overall the need to bring spare batteries with you is a fairly small downside for the versatility of this device. This device is an attachable nock for bow hunting that will make your life easier for finding arrows that have gone astray after being fired. 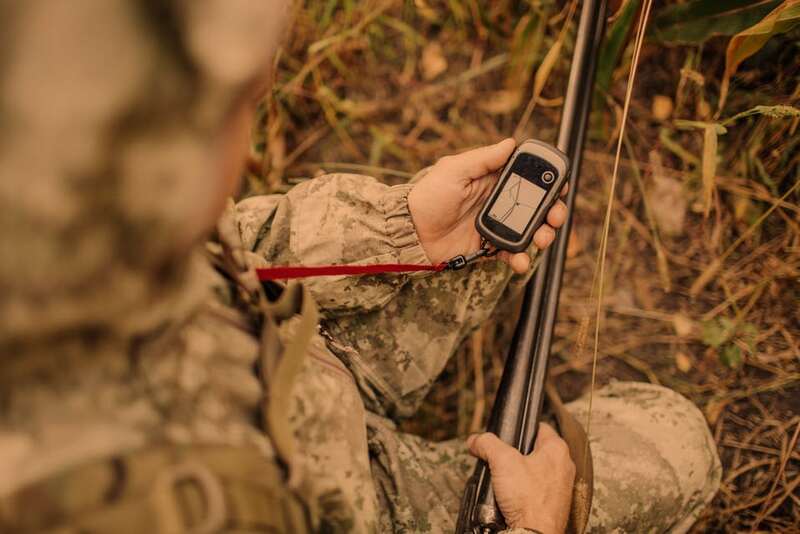 With a Bluetooth transmitter that is good for a 50+ yard range you will be able to use your phone to track down where it has gone after you shot it. The accelerometer that is built into the nock is an important part as it uses motion sense to activate the Bluetooth once the arrow is fired. 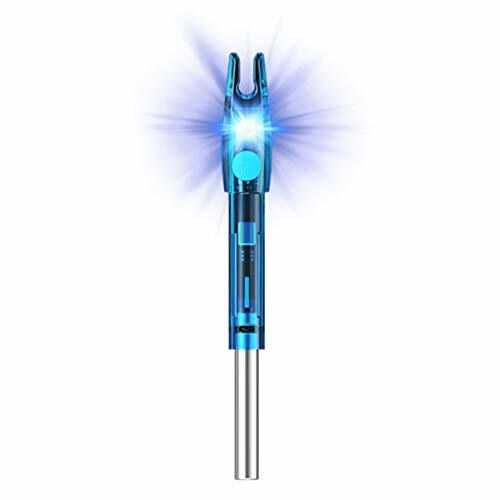 The main part of this technology is the PCB Processor that controls the LED light, sound, and Bluetooth functions so that you can find your arrow even in the dark and follow the sound to help even more. The BREADCRUMB Bluetooth Trackable Technology Hunting Nock is a great device for the archer who is tired of wasting money on having to replace lost arrows. This is technology that helps you find your arrow with light, sound, and Bluetooth. You can just connect it to your smartphone and track it from there. The main downside that comes with this nock is Bluetooth connectivity issues which you can expect from almost anything that has Bluetooth capabilities. Overall, this device is really an impressive piece of technology that can help you keep track of your arrows and save you time trying to find them walking aimlessly around in the woods where an arrow could be covered up by so many things. Throughout this article, you have read about the options and benefits of different GPS devices and how they can help you out. Make sure you find one that will stay connected and can accurately help you keep track of where you are and where you have been. Our variety of options is sure to give you a good start on finding a great device for your next hunting adventure! When you are looking for a GPS, many questions come to mind about why they are important and how they can help while you are hiking, hunting, or just looking to explore an area that you are unfamiliar with. Here are some of the common questions that consumers have asked while looking for a GPS. A GPS is a navigational device that uses different satellites to pinpoint locations loaded into an electronic device. They are used in many different fields for people who need to be able to track routes and find where they are. This type of technology is used in a variety of products including activity trackers, directional devices, watches, and cell phones. GPS is an acronym for Global Positioning System. It uses many different satellites that are continuously orbiting Earth to accurately send signals and locate the device you are using. It then provides information about your surrounding area. A GPS uses 24 to 30 satellites orbiting Earth at an altitude of 20,000 km to pinpoint your location. Your device draws its information from the three different satellites nearest to your device in order to accurately pinpoint your location. The accuracy of your GPS mainly depends on how strong your connectivity signal is based on whether the line of reception is obscured by trees or buildings. Overall, GPS signals are accurate within about a 4.9-meter radius of your location, which is about 16 feet. OK, so you're from the 19th century and still trying to book that trip to meet Sacagawea with Lewis & Clark, promising them you'll bring a good compass, and that you can "read the stars," so you'll end up for sure West of the Rockies, and not in New Orleans. Guide Phil Schweik has used a compass continuously for decades. They're basic. They'll tell you what you're direction you're moving to or from, and they can save your life… also like chart-reading "by the stars". But the pages of time and technology have turned. Yes, compasses are still small, cheap and useful. But if you want to save time and effort, turn the page and opt for a GPS unit. GPS stands for "Global Positioning System." What a GPS does is literally pinpoint where you've been, where you are, and where you're going. Your position is established through the use of an orbiting satellite and tasked to put you within a short distance of where you want to be. Now, note we said "short distance of where you want to be." The GPS units available to the public are NOT as accurate as those provided to the military and governmental entities and deliberately so. You're not going to be able to program anything with absolute accuracy. You'll be close, but it's more a "scratch bull," then a total "bull's eye," if you get my drift. But it's good enough for hunters. or instance, if your unit shows tight contour lines you know you're going up a hill. If the contour lines are spread out, you're flat-landing it. Indeed, any number of these GPS units "talk to you." So if you're out in the woods and you're lonely, think how nice it would be to have some Hollywood starlet telling you which direction to head to get back to camp or your truck. As for me, I'd personally opt for George Clooney. The bottom line is that GPS units have long battery life, are rechargeable and can save you hours of time and exertion, as well as giving you total peace of mind. As a hunter you may know a particular woody area ­ then again, you may not. Either way a GPS is a real helper. You are able to lock in a position of a tree, a cabin, a stand, a blind, a vehicle, and then move out, having your GPS leave a "dotted trail" on it, which you can pull up at any time to see your position or how to get back to where you were, or where you'll mark a good hunting spot… all of it. In addition, let's say you've hit a deer, and are now tracking it -- you can easily lose sight of your buddies or become disoriented. With a GPS unit, you'll always be able to find your way back, and know exactly where you're going and where you've been. With a GPS, being lost is a thing of the past. I've been told by many hunters that a GPS is almost a required accessory, particularly when there is heavy snow or pea soup fog. Even if you know a wooded area inside-out, heavy snow changes everything. Boughs bend, trees, outcropping, and reference points that you've always known and relied upon are now covered and hidden. Your GPS will remember the right way to go, and then the right way to return to where you want to. In fog, you can be turned around and become disoriented at every turn. And if there's an accident or someone needs assistance, and if you must go for help, you can assure your buddy that you will be able to return quickly right to where they are. Guide Phil Schweik says that the GPS units that are sold by the major outfitter store where he works are becoming ever more complex in the type and amount of information that can be displayed and used; and he says, the units are really very simple to use. With technology changing rapidly, Phil suggests paying a few bucks more and getting the newest model; controls become friendlier, new types/kinds/formats of information are retrieved and can be used more quickly, battery life is longer, and contrasting colors literally bring things to life. If "you're good to go," you'll be "better to go" by using either a basic compass or preferably a GPS unit.